The Haas F1 team have today unveiled their livery for the forthcoming 2019 season, introducing a fresh design in what they are calling a ‘New Era’ for the team. In a contrast to last year’s predominantly white car, the new Haas will be black and gold – similar to the Lotus Renault which raced between 2011 and 2015. The reason for the enticing change is Haas’ new title sponsor, Rich Energy, the company that tried to buy out the financially stricken Force India Team before it was rescued by a consortium lead by Lawrence Stroll. 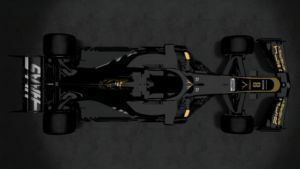 The car, unveiled by drivers Kevin Magnussen and Romain Grosjean, is the 2018 car with the new livery and the new front wing design. We will see the complete new 2019 car during winter testing in Barcelona. Haas finished last season fifth in the constructors’ standings on 93 points – a 46 point improvement on their performance in 2017 – with Kevin Magnussen scoring 56 points, while an impressive turnaround from a woeful start to the year saw Romain Grosjean end the year on 37 points. 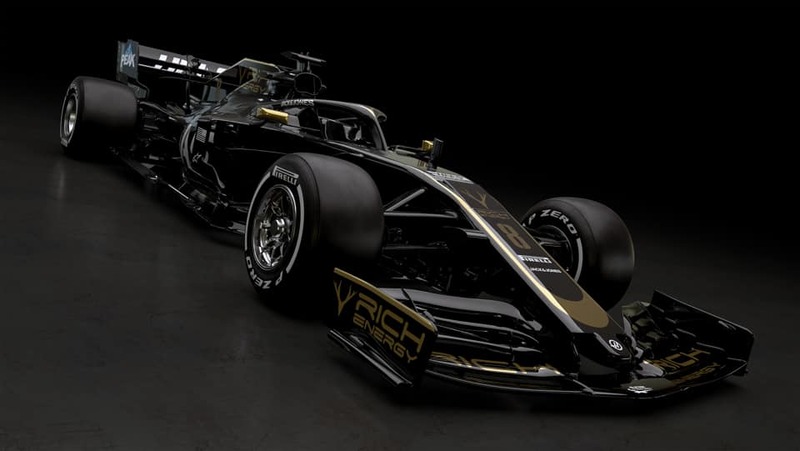 Last year, Haas announced Rich Energy as their title sponsor, and the new livery sees Haas embark on a new partnership and the start of what they hope is a journey to the top of Formula One. The American team will still have Ferrari as their engine supplier, and will be using the 2019 spec engine.